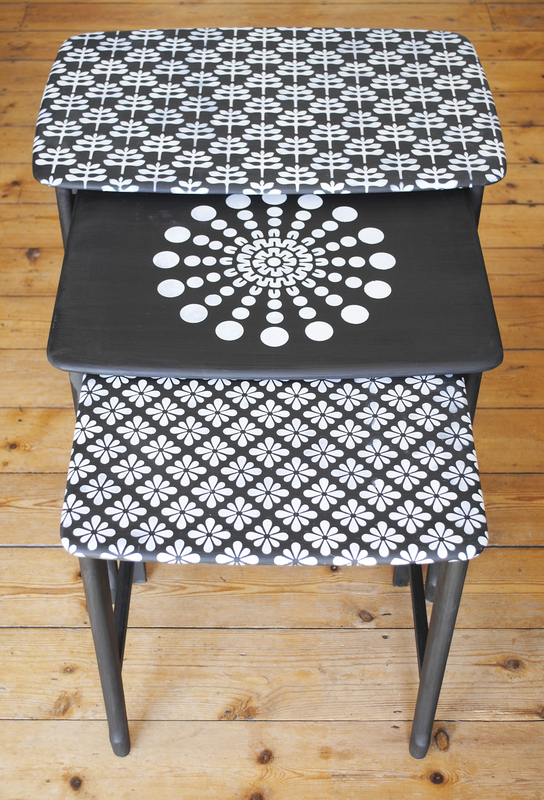 A few years ago I painted a nest of tables which was bought by somebody living in the USA. They had to pay more for the shipping costs than they did for the actual tables! 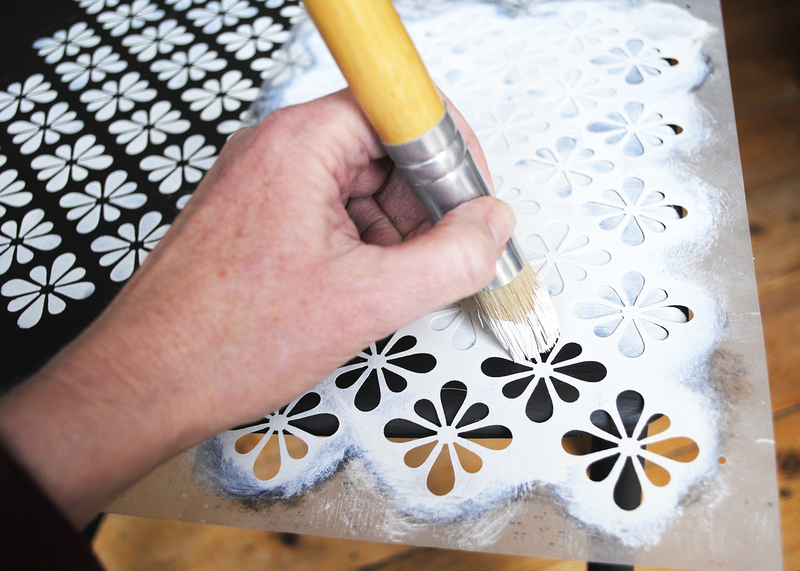 Painted black with white stencilling, I used the image of the tables on my business card. A little while ago somebody asked me if I had anything similar and as I didn’t, it struck me that I should paint another set, not exactly the same, just similar. 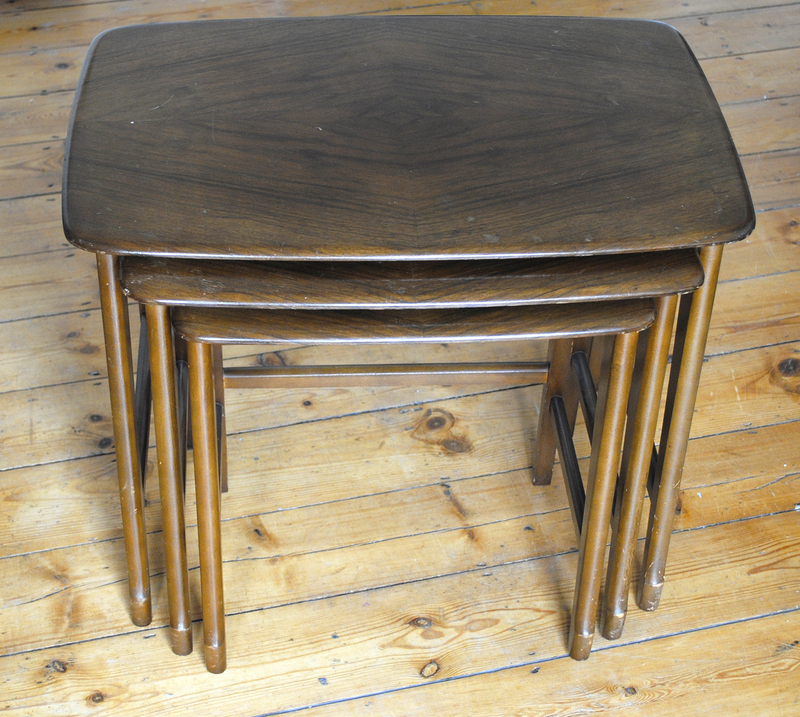 Yesterday I popped out for food and returned with cat food, coffee beans and a nest of mid 20th century tables. That’s not unusual for me! 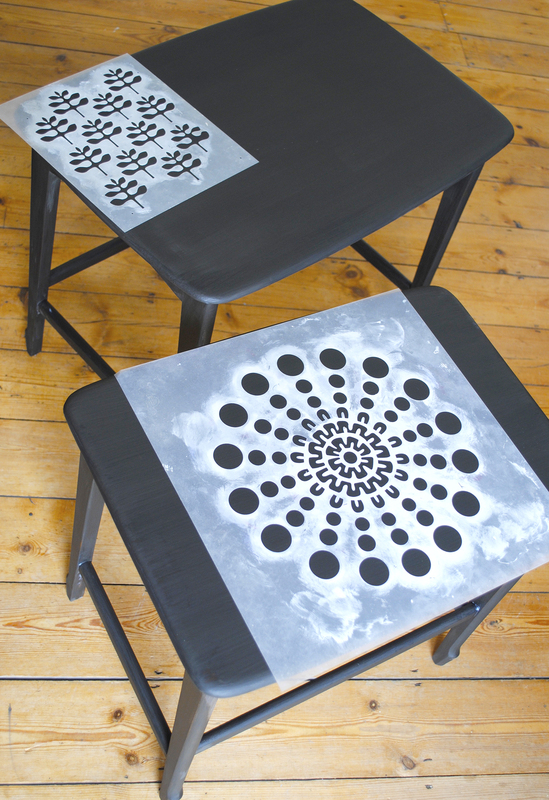 After a couple of coats of paint I stencilled the tables using a different design for each one, adding lots of pattern but keeping it simple with a monochrome colour palette. Protected by a couple of coats of very matt varnish, these tables are good to go. The question is, good to go where?! 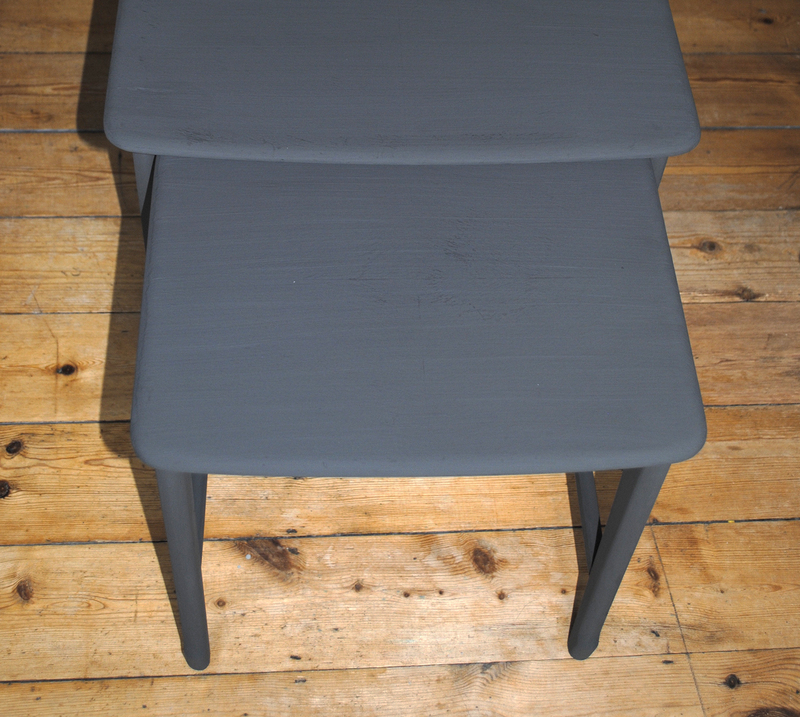 Next Country Living Magazine and a Stencilled Chair.